Presently, when people think of video games, images of zombies or bloody warfare usually spring to mind. But while the parents claim that these games are killing our generation’s brain cells, used as a tool in the workplace, video gaming can actually lead to a more productive team. The experts call it Gamification – applying elements of game-design and game principles in non-game contexts. 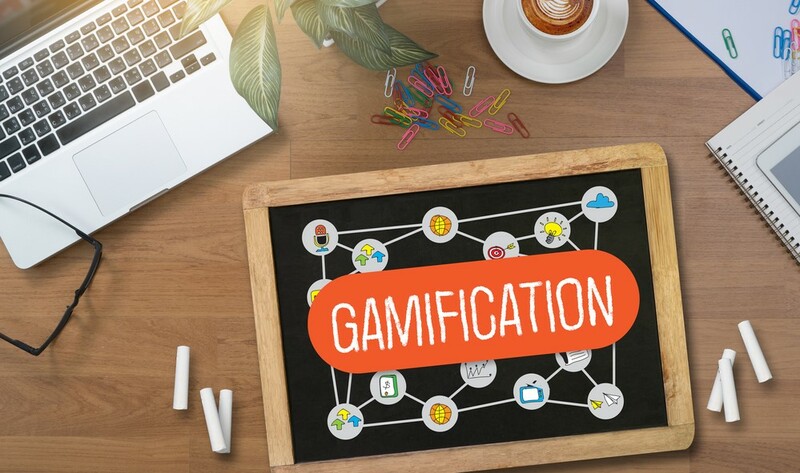 When utilised in the workplace, Gamification has shown structural improvements, productivity, engagement, employee recruitment and even retention. Not convinced? Here are some ways gamification could in fact improve your company’s culture. Due to gaming being a primarily competitive exercise, its presence in the work environment will naturally introduce a level of competition to your workforce. Instead of racking up enemy kills or winning car races, employees can win prizes for reaching predetermined goals, rewarding employees who stride ahead of the curve through higher performance. This will enable your workforce to participate in the more subdued areas of their jobs through a reward system, meaning that the office stays motivated on a daily basis. Don’t be surprised that once you’ve deployed gamification you’ll start noticing increases in team productivity; going above and beyond in their tasks, all for a few extra bonus points, and victories. Due to gamification having a ruleset that no single supervisor or line manager has control over, there is no way of favoured employees getting the upper hand without performing, because the rewards are given by the system, not the boss. When your workforce understands that objectivity is in charge, they will be much more inclined to focus on the task in hand rather than on ways of ‘talking’ their way to the top. Supervisors also gain more respect, as the only way to reach a leadership position through a centralised gamification reward system is to become the highest performer with proven, quantifiable results. In order to compete with the most up-to-date companies, you need to attract the best talent. Tech savvy millennials are much more likely to work at tech savvy companies with new ways of getting the best out of their employees. With today’s ‘gig economy’ the days of needing a full-time employer, in order to command a good income, are no longer. Moreover, with company review sites such as Glassdoor, giving employees a platform on which to review a company’s corporate culture, having gamification in your program is sure to bump you up the ratings. In turn, this allows you to attract more top talent. Gone are the days of 8 hours spent at the desk, typing. More and more companies are finding new and innovative ways to get the best out of their employees; mixing work with play, mundane tasks with exciting initiatives. Embracing gamification might be just what your company needs to entice, motivate, reward and retain today’s top talent.